Walking down the street the other day, I decided to travel down the lane less taken, and this is what I came across: words to live by. Good advice to the youth of today. After all, no matter how rebellious you may feel, think about it: do you really want to let the rats in? 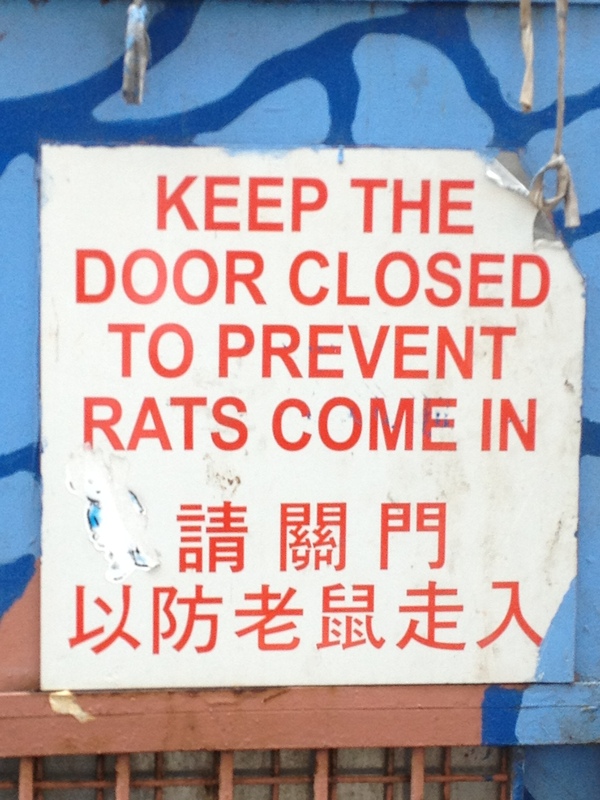 I liked my son’s reaction: how many times did the rats get in before some poor bugger had to go to the trouble of having that sign made? A question for gourmets:Should we check the back doors of restaurants before we eat there? Or are we better off not knowing. And for my daughters, excellent dating advice.